It seems our group has two types of days, both of which are long, difficult and trying. Those two types of days are either emotionally long and exhausting; or they are physically long and exhausting. Today was definitely a long, hard physical day. We began our journey today by wondering whether or not we were going to have to take a taxi to the bus outside of Bethlehem or if the bus going to be able to make it past the check point. What makes this day different from any other day in Bethlehem? The Pope has come to the city of Bethlehem today making it that more difficult to get around. Thankfully today was not the day we were touring Bethlehem, rather we have lef t Bethlehem and are heading South. 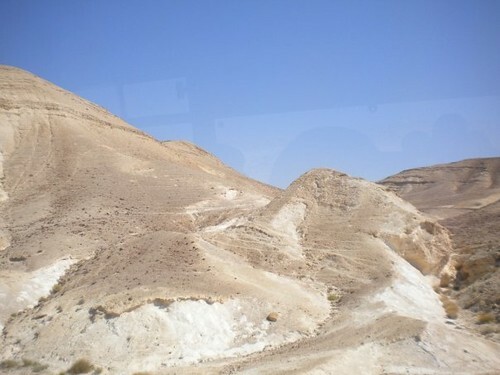 Another name for South is the Negev, and that was precisely our destination today, the deserts of the Negev. We traveled for about an hour or so south into the desert to begin our morning with a hike up Masada. It was at Masada in the late first century that the Jews held out in a stronghold against the Roman Empire. The Roman Army built a siege ramp to get up to where the Jews had been camped out, and to their surprise they found all of the Jews dead. At least some believe this. While learning about the history of this last hold out, we also learned that it was at Masada that they found a piece of Ezekiel scroll in the synagogue. The piece that they found included the earliest parchment of the vision of dry bones, Ezekiel 37. We had now been officially beaten down by the hot sun, and for those who had sold their hats, were grateful for the shade of the bus. We continued our trek to a Bedouin site where we had a lunch and camel rides. Upon arrival they had drinks, dried fruits, and bread waiting for us. As we had our snack, the guides were preparing our camels for our 20 minute ride. If you look at photos of the day you will see that we rode two on one camel and later we learned that one male camel can hold up to roughly 650 pounds, but they use the female camels for the tourists. After our adventures of understanding what it means to ride on a camel, we were invited into the tents and taught a little bit of the Bedouin ways. We were told that a visitor may come to a Bedouin tent and they may not be asked for three days their purpose in coming to this site. Another fascinating detail about their customs is they will begin to show their hospitality as soon as the visitor arrives by freshly roasting coffee beans. Once roasted the male host will begin to grind the beans. While grinding he makes music with the grinder, in order that the other tents nearby know that this tent has visitors and to come and greet them. Then they will serve their guest three cups of coffee. The first cup is a cup of inviting them in, the second showing their protection. The third cup though, if you are not welcomed, will be filled full to the brim. This pretty much is like saying “Have your coffee and leave,” but also does so in a manner that saves the guest from being embarrassed by being kicked out. It lets the guest leave and not lose his/her dignity. After our basic instruction about Bedouin Life, they provided a large meal for all of us. The group has now lasted a hike in the hot sun and had been fed quite a bit of food. As we continued our journey to our next destination, I believe many of us slept, including me. I woke up as we pulled into Tell Beersheva, the most southern point of King David’s land. At Beersheva we had a moment of reflection to recollect the day’s events. Seeing the dry and barren land and thinking about what it means to have Living Water in the Barren Land. We reflected as Psalm 126 was read. We then walked along to a well, where our guide Tony spoke to us about the importance or the well. There are many cases throughout the Bible that a man would meet a female at the well. At the well a woman did not wear her scarves and so if a man was able to sneak up to the well, he may catch a glimpse of the beauty of the woman’s face. We read the stories of Genesis: 24 and 29, followed by talking about Moses meeting his first wife at a well in Exodus 2:15. After talking about the well, we walked through a cistern…the second cistern of the day. Afterwards we continued our journey back to Bethlehem. Upon our arrival back, we had our evening prayer and spoke about what Truth means to us and how is it that we come to Truth. On our journeys we have heard many stories and have found it difficult to sort through what is Truth and what looks like Truth, but in reality is not. After our prayers and worship, we have our last dinner here in Bethlehem’s Lutheran International Center. After dinner we had one last meeting of the day. We met with Dr. Salim Munayer from Bethlehem University. During this time he told us how he got to where he is, but then spoke about the ministry he is providing among a broken nation. As we have experienced the desert today, he spoke to us about the transforming power of the desert in his ministry. 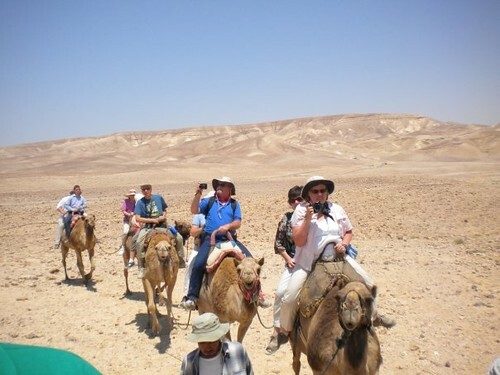 He takes Palestinian and Israeli teens out to the desert for a five day camel trek. Through these journeys, he has seen confessions and reconciliation happening between the teens. Tonight I would like to close with a Scripture that Dr. Salim used.